Solid wood raw material cost is keep on increasing in the past few years. Taun 18mm hardwood flooring is becoming the first choice with its low cost below 2.0USD/S.Q.F for the home builders who want a real solid wood floor but with tight budget plan. 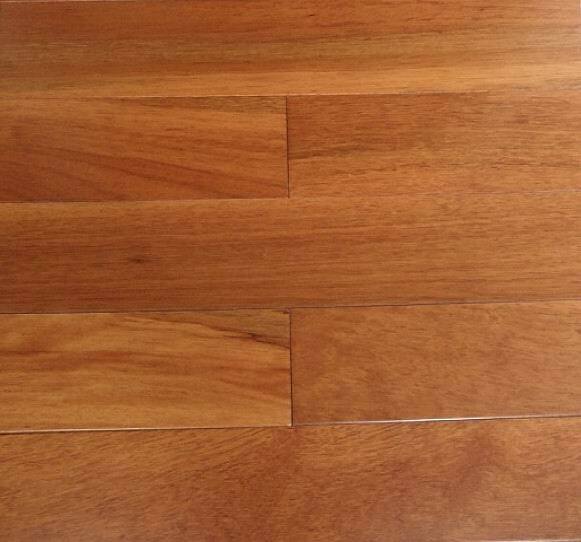 C&L hardwood supply taun solid hardwood flooring with premier grade in RLX120/90X18MM(RLX5"X3/4") to serve the low end solid wood flooring market .The cheap solid wood sells very well in the market of China,Australia,Canada & Africa. Cheap does not necessarily means low quality,taun solid wood floor still comes with 20 years residential warraty & 5-7 years coating wear though warranty . The wood can be stained with mahogany,natural & dark walnut color. The hardness & density of taun is similar to oak.Taun is very similar to another wood - merbau in appearance(both in fine staright grain) ,meanwhile the wood comes from the same origin place - Indonesia & Malaysia. We'll welcome any customer to send us inquiry or get a sample of our inexpensive taun real wood flooring from Southeasia Asia tropical areas.